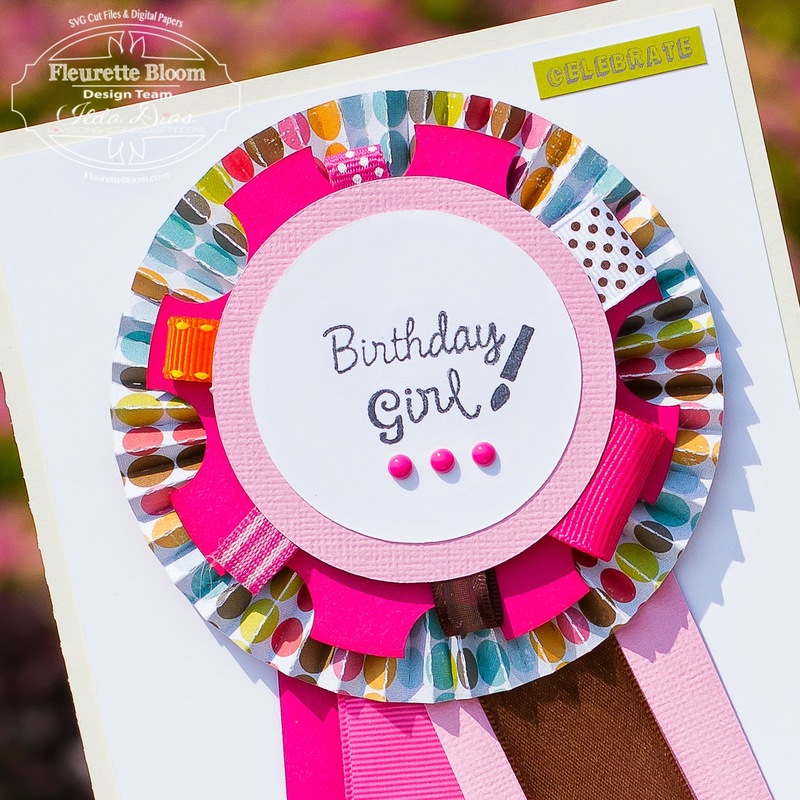 Today I have a really cute project to share with you guys, Birthday Ribbon Cards! 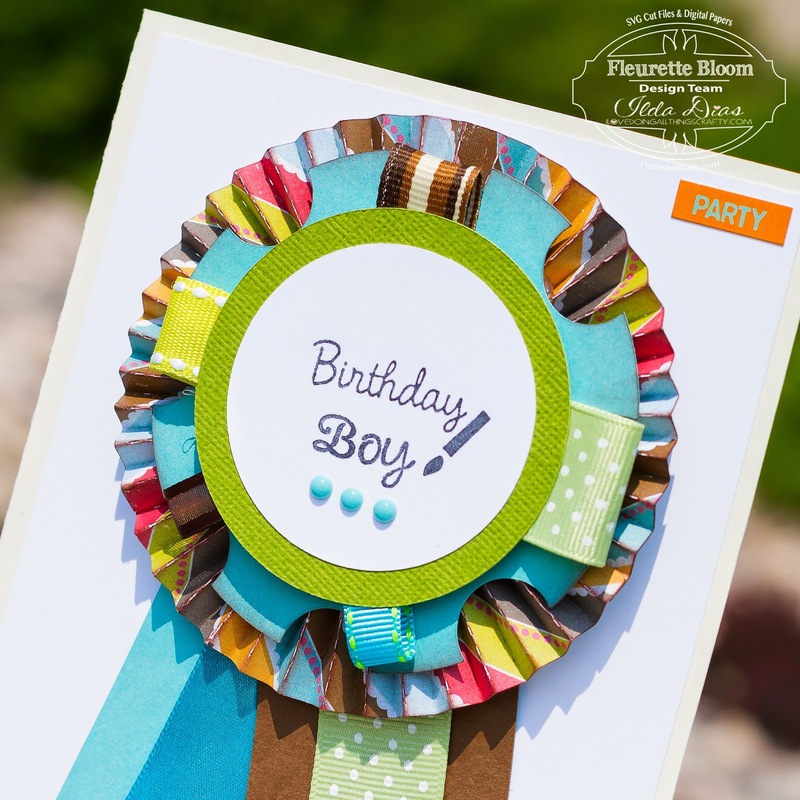 I have a few birthdays coming up and I thought these ribbons would make the perfect ribbon/card for the Bday Kids! Years ago one of my favorite Paper Artists Thienly Azim created something similar, and as soon as I saw the Ribbon in Fleurette Bloom's latest kit I knew I had to combine the two! All cut on the Silhouette Cameo. Here is what the inside of the card looks like. 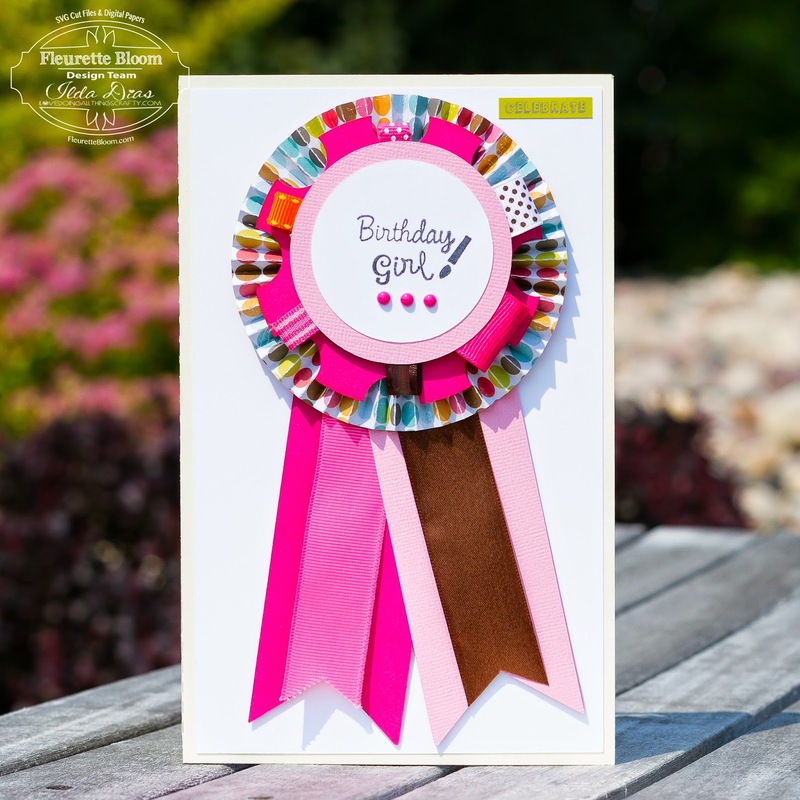 Check out how I meshed the ribbon and card! Clever, right?! First make your ribbon then punch a hole at the top of your card to slip the fastener through. 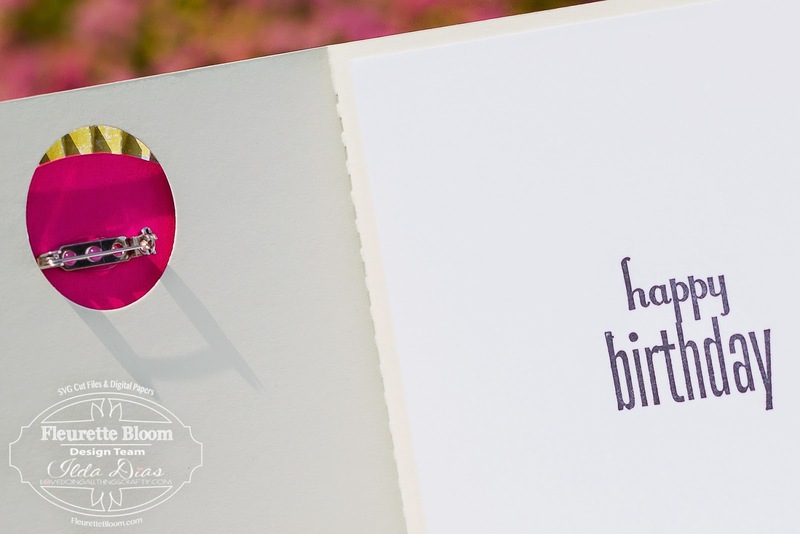 Use some sticky dots or foam tape to allow for easy removal of the ribbon from the card. It's that simple and easy!!! I love the patterned papers I used for the rosettes. The paper comes from Hazel & Ruby - Gone TYPO collection pack. 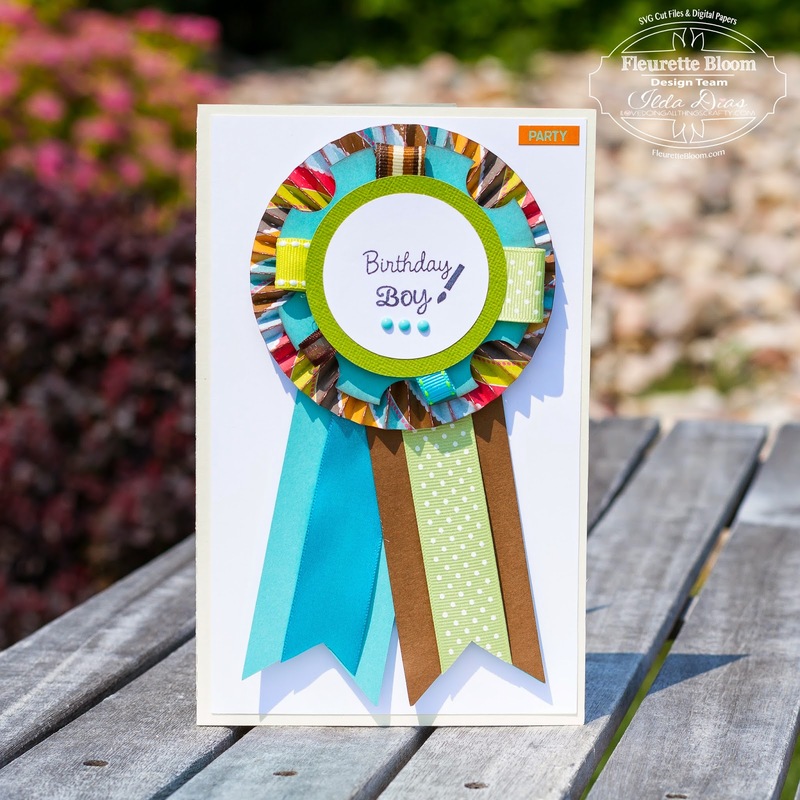 Stamps come from Studio G.
Hope this little project inspires you to create a ribbon/card for your next Birthday Boy or Girl! What a fantastic idea. Love the papers, ribbons and colours you have used. I might just have to do one of these for my niece who is turning 13 soon. Wow! This is a really great idea! I love that they are detachable from the card so they can wear it too! How pretty I love the idea that it is a pin tan d the birthday celebrity can wear it. You could enter this in my DL.ART July linky party, Have a Blessed day, DIANA L.